Is Wealthy Affiliate a MLM? It's Not. Look Closer And You'll See Why. Is Wealthy Affiliate a MLM? It’s Not. Look Closer And You’ll See Why. Is Wealthy Affiliate a MLM? Recently I stumbled upon a review which claimed that Wealthy Affiliate is a MLM business. I was baffled. How can they claim that? Obviously, the reviewer does not know what Wealthy Affiliate is or how it works. So therefore, I wrote this article to compare these two and prove my case – Wealthy Affiliate is not an MLM. The way I see it: To test and see whether a company it is an MLM or not, first one needs to understand what an MLM is and how it works. Once you know that, you can put any business to the test and see if it falls into an MLM category or not. What Is MLM Multilevel Marketing? [Sidebar: I have already done an extensive research and wrote a 2000+ word article on MLM and I highly recommend you to read it: “MLM vs Pyramid Schemes – MLM Is Not What You Expect. See Why.” It will give you a clear picture of what MLM is and how it compares with pyramid schemes. To put it simply, MLM or Multilevel Marketing is a business model where retailers are bypassed and products and services are sold through an extensive distributor network (It’s members are called distributors). That’s why multilevel marketing is also called ‘network marketing,’ ‘direct selling,’ ‘referral marketing,‘ etc. To sell these products, you must buy them in the first place. Then you can resell them to others. All distributors in MLM or Multilevel Marketing businesses (as the name says), stand on clearly distinctive levels. The person who recruited you, is called your upline and stands above you in the recruitment chain (pictured below). He will earn a commission from each sale that you make. Similarly, all these members that you have recruited, are called your downlines – you earn commissions from their sales. So it’s easy to see that you earn commissions from all your downlines. Meanwhile your uplines earn commissions from you and your downlines. That’s why it is called a multilevel business. As you can suspect, money in such pyramid shaped businesses is always rolling from lower levels to the upper ones. Is Wealthy Affiliate a MLM? You can join Wealthy Affiliate without forking out a single penny. 1. What Is Wealthy Affiliate Program? Wealthy Affiliate is an all-inclusive internet training platform. For me (and I’ve been its member since 2013) it resembles a social media network for internet marketers. 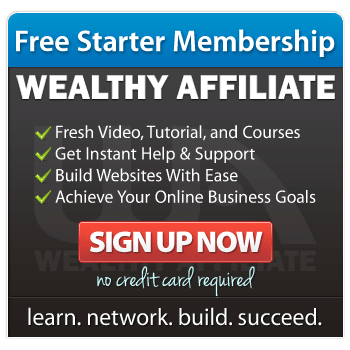 What Does Wealthy Affiliate Include? Premium Membership, which is $49 a month (or cheaper if you choose to go yearly) and is all-inclusive. It means, there are no further upsells or paywalls. Zero. Nada. Nil. Wealthy Affiliate includes Certification Courses, which will teach you on how to start, run, and grow you own successful online business in ANY niche in the world. The training (as the company name says) focuses on affiliate marketing but you are not restricted with it. You can do content marketing, social media marketing, video marketing… you name it. You can do that (I emphasize) with no requirement to promote WA, sell its products, or recruit new members. Therefore, WA is not an MLM (more about that later). Wealthy Affiliate does not give you only training. It has an awesome support system for you as well. The fact is, all the support you get within Wealthy Affiliate is free. For Starter members it is somehow limited but still free. Wealthy Affiliate offers all its members free hosting. It is state of the art hosting, one of the best in the world (Here’s why). For free starter members their hosting service is a little bit restricted (not much though). For the premium members it is already included in the price. Wealthy Affiliate offers all its members free keyword research tool. It is a somewhat restricted version of their Premium Keyword Research tool called Jaaxy, which is an awesome tool indeed (Read my Jaaxy review here). Although Jaaxy is created by the same people who founded Wealthy Affiliate, these two websites (and services) are independent. You can buy Jaaxy without being a member of Wealthy Affiliate (and vice versa). 2. How to Make Money With Wealthy Affiliate? The core of their training is Affiliate marketing though. Choose your interest (or niche – in other words, where your passion is). Remember, in Wealthy Affiliate you can choose ANY niche in the world. Any! Build a website. Wealthy Affiliate will teach you how to build a beautiful, fully-functional website around your passion. Attract Visitors. Here Wealthy Affiliate will teach you how to get readers (potential customers) to your website. It is called ‘driving traffic to your website.’ The more traffic you have, the more bigger is your potential earning power. Earn Revenue. You will learn how to help people find what they are searching for. And when they go and buy based on your recommendations, you will earn money. Therefore, as you can easily see, there are no MLM style distributor levels in this process. What About Wealthy Affiliate Affiliate Program and Commission System? You might wonder whether WA Affiliate program this is a MLM? As thousands of other big brands, Wealthy Affiliate runs its own affiliate program as well. It means, you can promote Wealthy Affiliate and earn commissions from each signup. This is how affiliate marketing works so nothing to do with MLM here. 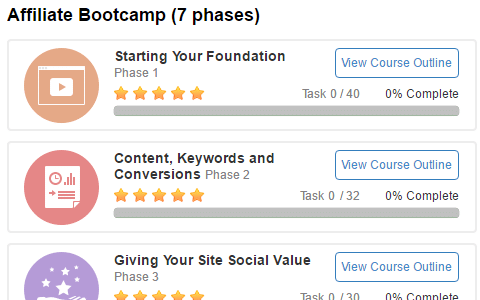 For those people who want to promote Wealthy Affiliate, the Bootcamp course is offered. WA Bootcamp is similar to its Certification courses. The only difference between the two is that Bootcamp focuses on make-money-online niche and on promoting WA only. …Is WA Bootcamp an MLM, you might ask. It is true that WA Bootcamp training teaches you on how to recruit new members. That is similar to MLM business indeed. Also, you will earn a small commission from each premium sign up under you. However, the following differences easily prove that Wealthy Affiliate IS NOT an MLM. First, within Wealthy Affiliate you will earn NO commissions whatsoever from earnings of your downlines. Second, within Wealthy Affiliate, you will earn NO commissions whatsoever when your downlines recruit new members. Third, within Wealthy Affiliate, your referrals ARE NOT required to take the Bootcamp course and learn how to recruit new members. To tell the truth, this path is NOT recommended to new members. Why? Because make-money-online niche is the hardest and most saturated niche on the Earth. The new Wealthy Affiliate members are always pointed to the WA Certification Course (which is not about recruiting people). See! It’s obvious that Kyle – the co-owner of WA – would make much, much more money if he pointed every new member to the WA Bootcamp course and teach how to recruit people. However, as you see, he does not do it. Instead, he sends them to the WA Certification course so that the new members could start their own independent online businesses. Fourth, within Wealthy Affiliate there are no distributors. Neither are there any WA products which you can buy and later resell. The only thing you can do is refer others to Wealthy Affiliate. As I proved above, Wealthy Affiliate is not an MLM business. Because its affiliate program does not have a pyramid shaped, multilevel commission system found in MLM businesses and pyramid schemes. Neither are WA members required to promote Wealthy Affiliate or recruit people. And there are no WA products to buy and resell. Wealthy Affiliate is an all-inclusive internet training platform, which helps you build, run and grow your own successful online business in any niche in the world. Thank you for reading the review. I hope you found the information that you were searching for. Now that you have come to the end, what do you think – Is Wealthy Affiliate a MLM or not? Please drop comment into the comment section below and I will return with a response. Haha, well it’s definitely not a MLM. Wealthy affiliate is only the greatest platform where you can start your own business! It’s not even close to anything like those scams out there. It’s pure goldmine for people who got scammed a lot of times. It takes time and dedication to succeed, but it’s definitely possible here at WA! Hey, RichPersonality, and thank you for the comment. You are right – and this is one of the most obvious points that differs Wealthy Affiliate from scams. First, while scams typically promise you instant riches (with no work from your part), Wealthy Affiliate never makes such promises. 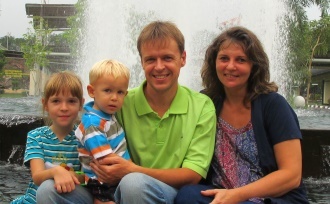 Quite the opposite – Kyle and Carson (founders of Wealthy Affiliate) keep emphasizing that success online (tremendous success online) is possible but it requires time, work, and dedication from you. You will not achieve success with a snap of your fingers. Second, there are no upsells in Wealthy Affiliate. You can join their free starter membership (which is somehow limited) and all-inclusive Premium membership (which is $49 a month, and cheaper if you decide to go yearly). And that’s it. No other (hidden) paywalls, no tricks, no schemes. I have been in a few mlms and the thing I disliked most was the recruiting. I like the fact that Wealth Affiliate is a place where I could learn something useful. It does not appear to be anything like the mlm programs I had been involved in. I have a question about the referral portion of Wealthy Affiliate: If I become a member, and I have a referral, Joe, who in turn has 3 referrals, Sue, Bob, and Lou. I understand that I do not receive any compensation from Sue, Bob, or Lou. But, after one year, Joe quits. What happens to Sue, Bob, and Lou? Do they become my referrals? Do I now start to receive the compensation that Joe had been getting? Thank you for taking time and dropping me a comment, Judith. I appreciate it a lot. As I told already, Wealthy Affiliate is not MLM because it does NOT have a pyramid shape commission structure. As for your example with Joe, Sue, Bob, and Lou – the way you describe it is just as it happens with pyramid shaped MLM structures. Every member has a certain position in his/her recruitment chain and has his/her uplines and downlines. So the referrals of your referrals are your downlines as well. That’s how the pyramid structure is built up to begin with. And that’s why Wealthy Affiliate is NOT MLM – Again, it does not have such pyramid structure. It means, the only referrals you have are the ones you have referred to WA. The referrals of your referrals (Sue, Bob, Lou) have never been your referrals and never become your referrals. If Joe decides to quit, Sue, Bob, and Lou are just WA members and that’s it. In WA it’s not a must to have your upline (because there’s neither pyramid structure nor recruitment chains). I like the way it is very much. I’ve been in Wealthy Affiliate for a few months now, and I can say for sure that it’s not a MLM scheme. Of course you can bring people into the program, and if they join you get a comission, but as you say, the main focus of the community is to teach people how to reate their own online business out of their passion trhough a niche website, and that looks more like an Online Marketing University than a MLM scheme to me. Some people call Wealthy Affiliate “Online Marketing University” and in some ways I can even agree with it. First, because it is an all-inclusive platform where you can learn completely new skills that serve you for all your life. There are many more similarities to a university but personally I feel uncomfortable calling WA a university. The main reason for this is that Wealthy Affiliate is not a such institution where you can get official degree (Bachelor, Master, PhD). But MLM – No! As I have already told, I tell again – Wealthy Affiliate does not have a pyramid shaped compensation plan required to qualify as an MLM company. Simple as that. Anyway, thank you for your testimonial. It only confirms what I have already stated. I too have come across a website that claims Wealthy Affiliate is an MLM business. It may be the same one you came across, although they were not disparaging Wealthy Affiliate, it was more like a list of top digital MLM companies. I disagreed with their assessment for the same reasons you have laid out in this article. It’s funny people will say they are MLM when one of the owners is vehemently against the MLM business model. Great article, hopefully, it will help people make a more informed decision whether to join Wealthy Affiliate or not. Thank you for the comment and kind words, Minhaj. I appreciate it a lot. Really! I don’t remember anymore which article I read. I just remember, I have seen claims as if WA is an MLM company. How ridiculous! There’s no pyramid shaped compensation plan in the WA. So how on Earth can WA be an MLM? 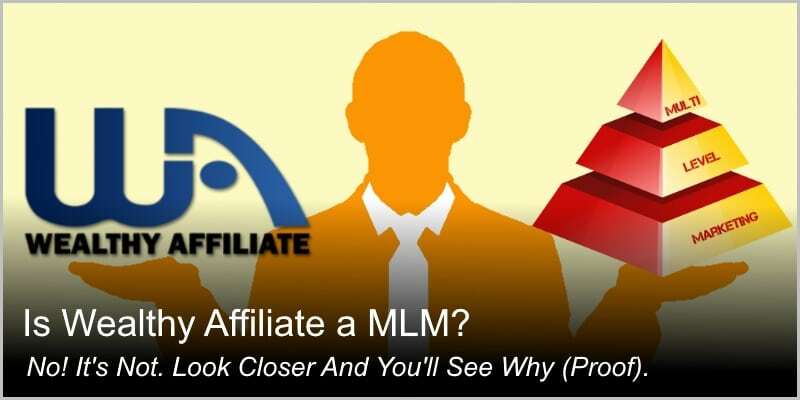 A standard affiliate program does not make it MLM. And as you pointed out, Kyle, one of the co-founders of Wealthy Affiliate, is strickly against any MLM model. And beside that, WA affiliate program is not a top priority in the Wealthy Affiliate training platform. WA is to teach an average person on how to build up his or her own internet business from scratch. And you can choose the niche of your choice. There are no restrictions at all. You pick the niche and they will teach how to build a successful business around that niche. That’s what WA is and does. Thank you again for the comment, sir. Whoever reviewed and claimed Wealthy Affiliate is a MLM program definitely has not experienced what it’s all about. I’ve been in WA for almost 2 years and I never actively promote WA. Although it does offer affiliate commissions, I’m more than content to learn and work on a niche that I’m interested in. Definitely not an MLM. Hi, Kenny, and thanks for the feedback. Absolutely. I did quite extensive research on MLM, and it’s clear that Wealthy Affiliate is not an MLM company (I proved it above). Your testimonial, Kenny, just confirms this. It’s absolutely possible to use Wealthy Affiliate resources, make Big Bucks online and never promote Wealthy Affiliate at all. And even if a member decides to promote WA, it’s not required that his WA referrals will start promoting WA as well. So (again, as I already proved above), Wealthy Affiliate does not have pyramid shaped compensation system.